Libya is formally run by the internationally-recognized Government of National Accord (GNA) in Tripoli since December 2015, when Libya’s rival parliaments—the Islamist General National Council (GNC) in Tripoli and the House of Representatives in Tobruk (HoR)—signed a U.N.-brokered power-sharing agreement. Like many Islamist groups in Libya, ASL resisted calls to swear allegiance to ISIS’s leader, Abu Bakr al-Baghdadi. On December 5, 2016, Libyan officials announced that the pro-government forces officially seized full control of the Sirte from the terror group. In February 2015, ISIS released a video showing militants beheading 21 Egyptian Coptic Christians. 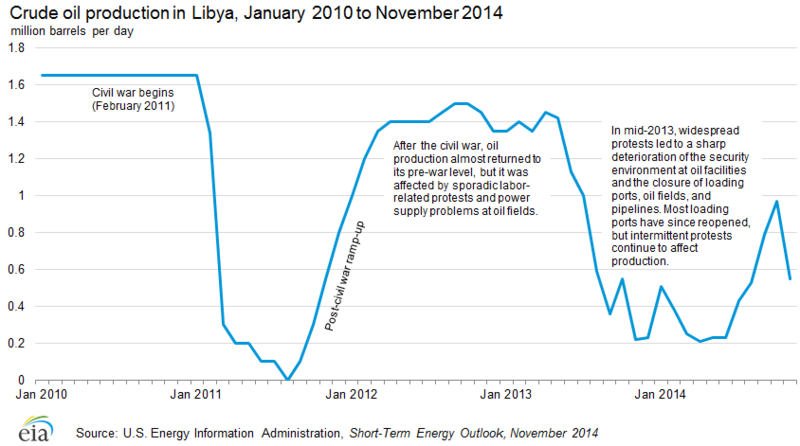 Since 2015, ISIS-affiliated militants have attacked a number of oil facilities in Libya, in an effort to destroy the country’s energy sector. On September 11, 2016, forces loyal to General Khalifa Hifter attacked and seized as many as three major oil fields in eastern Libya. (Source: New York Times). In November 2015, the United States launched its first airstrike against a Libyan ISIS target in the port city of Derna. In November 2015, the United States launched its first airstrike against a Libyan ISIS target in the port city of Derna. Abu Nabil, an ISIS leader and spokesman, and several of his associates were killed in the strike. More than 3,000 supporters of Ansar al-Sharia in Benghazi (ASB) later staged a counter-protest in the same area. Libya lacks the sectarian divide between Sunni and Shiite Muslims that ISIS has exploited in Iraq and Syria. Libya is nearly entirely Sunni and divisions in the country are far more tribal than religious. Consequently, ISIS in Libya is unable to portray themselves as defenders of Sunni Islam in the face of Shiite oppression, and has had trouble integrating into the tribal system. ISIS is most popular in formerly pro-regime areas, including Gaddafi’s hometown of Sirte, which have largely been the “losers” in post-revolution Libya. Libya is nearly entirely Sunni and divisions in the country are far more tribal than religious. According to a June 2015 Foreign Policy piece, it is difficult to quantify the unpopularity of ISIS policies. However, the report noted many residents of Derna decided to “vote with their feet” and leave the city “as penniless refugees rather than submit to Islamic State rule.” A particularly compelling factor in the decision to flee ISIS-controlled areas is fear of the group’s practice of taking child brides. A poll conducted by the Center for Strategic International Studies in 2015 found that 72 percent of Libyans believe ISIS are terrorists and 54 percent of Libyans support the international coalition against the group. The same poll revealed that the majority of Libyans think the Nusra Front and al-Qaeda are also terrorist movements.